To help you find the Best Ancestry Services, TopConsumerReviews.com provides you with an in-depth comparison of Ancestry and One Great Family. With a name like Ancestry, it's not surprising that this service is one of the most well-respected in the genealogy world. Ancestry offers a three-pronged approach to studying one's family history: historic records and other documents, such as census lists and church registers; user-created family trees; and, Ancestry DNA which, as the name suggests, allows users to trace their ethnicity and connect with others who share the same genetic roots. The majority of Ancestry's two million paying subscribers join the site to access its unparalleled amount of historic records reaching back to the late 1300's: more than 16 billion added to the site over the last 19 years, and with an average of 2 million added daily. These records fall under three main categories: Birth, Baptism and Christening; Marriage and Divorce; and Death, Burial, Cemetery and Obituaries. Not only can users find an indexed entry for their ancestor, but often they can also view and print a scanned image of the actual document. In order to access these documents, family history buffs first need to choose whether they need access strictly to US-based records, or if their research will require them to look at documents from other places throughout the world. Ancestry offers two types of subscriptions: U.S. Discovery, which costs $99 for a 6-month plan or $189 for a full year, and World Explorer, at $149 for 6 months or $299 for 12 months. Many of the documents we found on Ancestry were not available on any of the other online genealogy services in our review, making it well worth the extra cost of the subscription compared with other sites. We love that Ancestry offers a complimentary 14-day trial, so that prospective customers can get an idea of which plan will best meet their research needs. 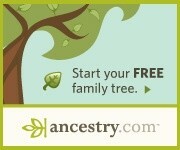 Another useful feature that Ancestry provides is the ability to create a family tree. As users find records pertaining to their ancestors, they can link the actual documents directly to those individuals' entries in the family tree. Furthermore, they can benefit from research already done by other members of their family tree and easily connect that information as well. Members of Ancestry have already created more than 70 million family trees, with 8 billion connections between subscribers' trees since early 2008. And, for those who want to know more about their family history at a cellular level, Ancestry also offers DNA testing to enable people to discover their ethnic mix, find distant relatives, and learn more about their own unique background. Ancestry DNA was launched in 2012 and since that time, more than one million people have used the service, leading to the discovery of more than four million third-cousin and closer matches. The service costs $99 and results are delivered via email within 6-8 weeks. Although the subscription price is significantly more expensive than other genealogy services in our review, we can't help but be impressed by the unparalleled amount of resources that Ancestry makes available to its subscribers. Whether you're looking to create your family tree for the first time or trying to track down that elusive great-great-grandmother that has stumped you for years, Ancestry is your best bet for making the connections you seek in your family history journey and earns our top ranking.